I was thrilled to be asked to take part in a panel of writers at the Bonham, Texas public library. Thanks to the Celtic Heart Romance Writers for hosting me at a month-long online workshop. I was honored to be named a Literary Luminary at the annual gala hosted by Excellence in Education for the Richardson Independent School District. 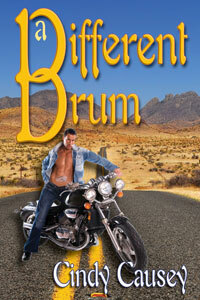 Drum gets TOP PICK from WRDF! Order A Different Drum now. Read and excerpt and view the trailer. and heroines who know how to mess up their day. Contact me. I'd love to hear from you. Read an excerpt and view the trailer. Read the Review from The Romance Studio. Order A Hot Time in Texas now. 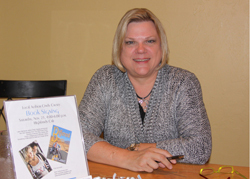 Cindy is available for appearances at local venues, online workshops, library events, book clubs or writer groups. Check out my workshop titles. call 214-349-2349 or email Cindy. 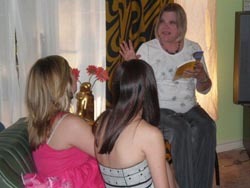 View the slideshow from Adam's Booksigning Soiree.